Before "It's beginning to look a lot like Christmas..."
Does anyone else out there feel like we zip by Halloween, forget about Thanksgiving, and run into Christmas before we've had time to take out the winter clothes? Don't get me wrong, I love Christmas. But in years past, by the time Christmas actually rolls around, I'm sick of it. I feel a little sorry for Thanksgiving--getting stuck between the zombies and the mistletoe. So this November, I want to actually celebrate Thanksgiving. We celebrate Christmas for a month before December 25th, so why not Thanksgiving? 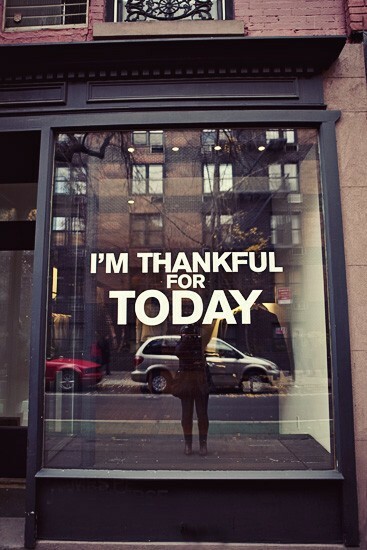 I want to take some time and think about what I'm thankful for. What I love. What tickles me. I've been so blessed, and I think it's important to be thankful for it.